Prof. Scheiding and Anja-Maria Bassimir are part of the research group “UnDoing Differences: Practices in Human Differentiation,” funded by the German Research Foundation. Our project focuses on mechanisms of exclusion and inclusion in religious magazines in the United States. We are interested not only in the content of magazines but in magazines as a whole, including the people and technologies involved in producing them. Our main thesis is that media play an important role in passing on and perpetuating faith. Accordingly, we want to know how religious magazines work and how new technologies and new media change them. Bassimir, Anja-Maria and Oliver Scheiding, eds. Keeping the Faith: The Work of Religious Magazines. Leiden/Boston: Brill. Studies in Periodical Cultures Vol. 2. Scheiding, Oliver and Anja-Maria Bassimir. “Under the Cover of Religious Periodicals: Editorial Practice and Magazine Production.” Periodicals in Focus: Methodological Approaches and Theoretical Frameworks. Ed. Jutta Ernst, Dagmar von Hoff, and Björn von Rimscha. Leiden/Boston: Brill, 2019. Studies in Periodical Cultures Vol. 1. Forthcoming. Bassimir, Anja-Maria. “Combating Caustic Communication with Truth and Beauty: Christianity Today, Beautiful Orthodoxy, and US-Culture.” Eds. Stefan Gelfgren and Daniel Lindmark. Strong Religion and Mainstream Culture: Opposition, Negotiation, and Adaption. Newcastle upon Tyne: Cambridge Scholars Publishing. Forthcoming. 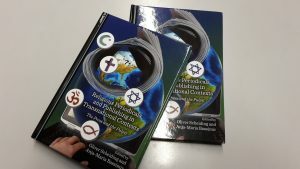 Bassimir, Anja-Maria.“Definition – Macht – Evangelikal: Standortbestimmung zum gegenwärtigen US-amerikanischen Evangelikalismus.” Amerikastudien/ American Studies, Vol. 63 (2018), forthcoming. Bassimir, Anja-Maria and Kathrin Kohle. “Evangelikale und Massenmedien, Strukturen in den USA.” Eds. Frederik Elwert et al. Handbuch Evangelikalismus. Bielefeld: Transcript, 2017. 409-423.